"Best Practices For Information Security Governance"
Today’s economy depends on the secure flow of information within and across organizations as information security is an issue of vital importance. Successful Information Security Governance doesn’t come overnight; it’s a continuous process of learning, revising and adapting. While every company may have its specific needs, securing their data is a common goal for all organizations. 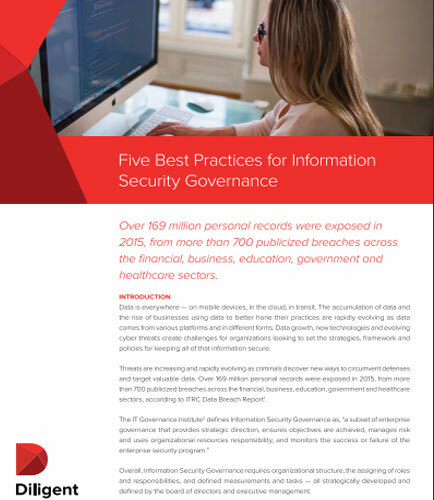 This whitepaper highlights the best practices and guidelines to successfully implement strategic Information Security Governance.